I recognize that your privacy is important. This document outlines the types of personal information this website receives and collects when you use learn-portuguese-with-rafa.com, as well as some of the steps I take to safeguard information. I hope this will help you make an informed decision about sharing personal information with this website. 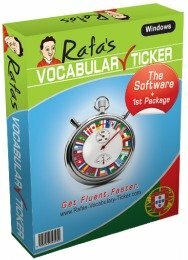 Learn-portuguese-with-rafa.com strives to maintain the highest standards of decency, fairness and integrity in all its operations. Likewise, I am dedicated to protecting my customers', consumers' and online visitors' privacy on this website. 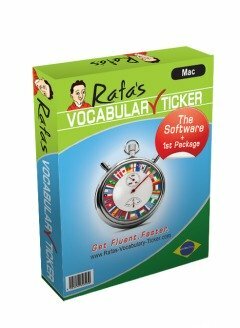 Learn-portuguese-with-rafa.com collects personally identifiable information from the visitors to this website only on a voluntary basis. Personal information collected on a voluntary basis may include name, postal address, email address, company name and telephone number. This information is collected if you request information from me, participate in a contest or sweepstakes, and sign up to join my email list or request some other service or information from me. The information collected is internally reviewed, and used to improve the content of this website, notify visitors of updates, and respond to visitor inquiries. Once information is reviewed, it is normally discarded soon after or stored in specific files. If I make material changes in the collection of personally identifiable information, I will inform you by placing a notice on this site. Personal information received from any visitor will be used only for internal purposes and will not be sold or provided to third parties. The purpose of a cookie is to tell the web server that you have come to the site for the first time, or have returned to a specific page. If you personalize the site's pages, or register with any of these site's services, a cookie enables learn-portuguese-with-rafa.com to recall your specific information on subsequent visits. As you browse this website, Google Analytics and advertising cookies will be placed on your computer to collect demographic and interest information, but this site does not tie the cookie to any personal information that you provide. If you do not wish your data to be collected via Google Analytics, you may use their opt-out tool... https://tools.google.com/dlpage/gaoptout/. This website is directed to adults; it is not directed to children under the age of 18. This site operates in compliance with the Children's Online Privacy Protection Act, and will not knowingly collect or use personal information from anyone under-aged. In some cases, this site may collect information about you that is not personally identifiable. This information, which does not identify individual users, may be used to analyze trends, to administer the site, to track users' movements around the site and to gather demographic information about our user base as a whole. The information collected is used solely for internal review and not shared with other organizations for commercial purposes. 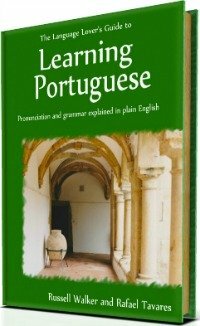 If learn-portuguese-with-rafa.com is sold, the information it has obtained from you through your voluntary participation in this site may be transferred to the new owner as a part of the sale in order that the service being provided to you may continue. In that event, you will receive notice through this website of that change in control and practices, and reasonable efforts will be made to ensure that the purchaser honors any opt-out requests you might make of this website.